The Language of Creation | "Northern Crossings"
I’m plowing through a challenging read called “Grammars of Creation”, by George Steiner. It is a difficult read and I find myself stopping not only to re-read passages but to think about some of the observations and connections that are made that are absolutely fascinating. We have been talking about words and how words mean things and it is interesting to me about the origin of words. One of the questions that Steiner asks at the very beginning is fascinating and has been asked probably since the beginning. “Why is there not nothing?” Another way of asking is “why is there stuff?” Why are there tables and chairs and planets and suns and moons.? Of course for Christians the answer is because there was the Creator. For philosophers and scientists the answer is because there was a creation but the idea of a creator for whatever reason repels them. Whenever people discuss the creation they wax poetic be they theologians or philosophers or scientists, but when we get to the question of what was there before creation they begin the jibber like idiots and speak in nonsense language like Stephen Hawking did just before he passed away. We tend to think of creation and before God created there was just him and empty space. The truth is that there was no time or space or anything before God created it. Einstein said that if all the stuff in the universe would suddenly disappear, time and space would go with them. All of this makes the concept of the “cosmos” and the study of it, “cosmology”, pretty interesting stuff. When the Greeks talked about creation they used the word cosmos which means the well ordered universe. Paul talks about God being a God of order and not of chaos. He makes that argument on the basis of the cosmos, the creation. For the Hebrew the cosmos is also a well ordered creation and it portrays the creator as a wonderful artist in the profligacy of his creation shows his generosity. 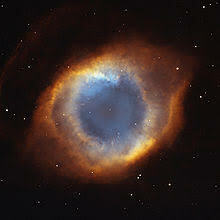 So from the concept of a Cosmos being well ordered all kinds of words develop and the fascinating question to me is why? Why are there words like cosmos and not nothing? When people think of a well ordered universe what addition comes to the language we speak because behind the well ordered universe we know there is a creator. The creation according to Luther was also well adorned and beautiful and a sign of God’s generosity. So what kinds of inventions do we make out of language to describe our place in the cosmos, and why do we do it? More later. I’ll Be There If There is Nothing Else Going On.